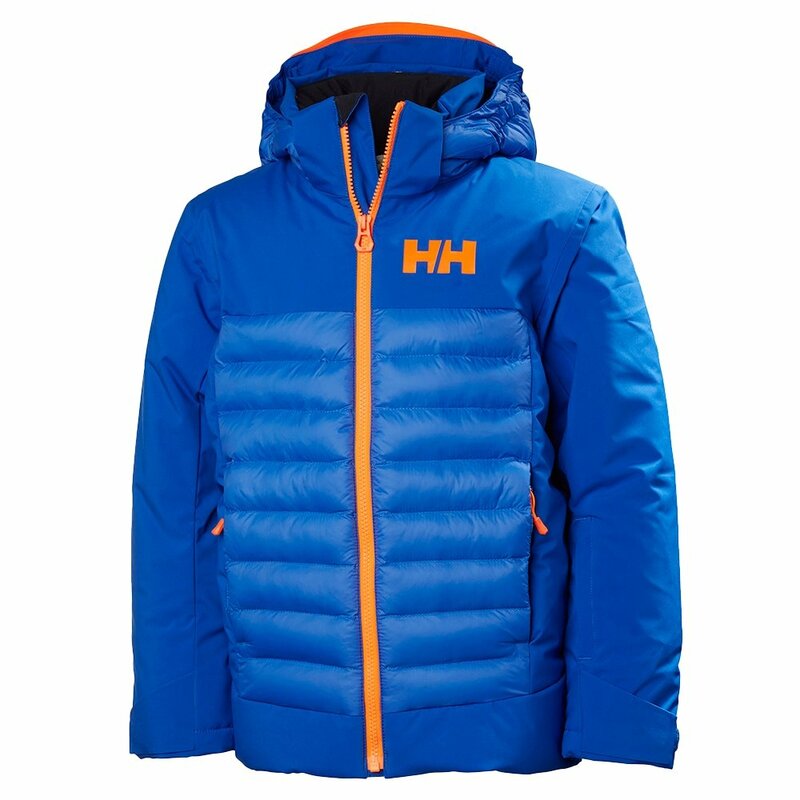 The Helly Hansen Summit Insulated Ski Jacket will get the young skier out to the slopes and keep them comfortable when there. Helly complements the waterproof-breathable outer fabric with protective features like wrist gaiters, a detachable hood, and an adjustable powder skirt for a functionality ski jacket that will keep your little guy happy. Smart technologies like the RECCO® advanced rescue system and battery-saving Life Pocket™ provide added performance on the slopes. The Helly Hansen Summit Insulated Ski Jacket also features a light DWR coating to help repel light precipitation and keep him dry in all conditions.